Generously grease 10-12 (6-ounce) custard cups or popover pans. Heat oven to 425 F. Combine all ingredients in blender or food processor; process until thoroughly blended. Fill greased custard cups ⅔ full. (Can stand at room temperature for up to 1 hour.) 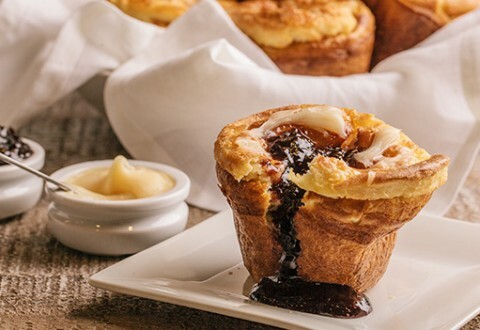 Bake popovers 20 minutes; reduce oven temperature to 350 F and bake 25-30 minutes longer. With a bamboo skewer, poke hole in side of each popover; bake 5-10 minutes longer.